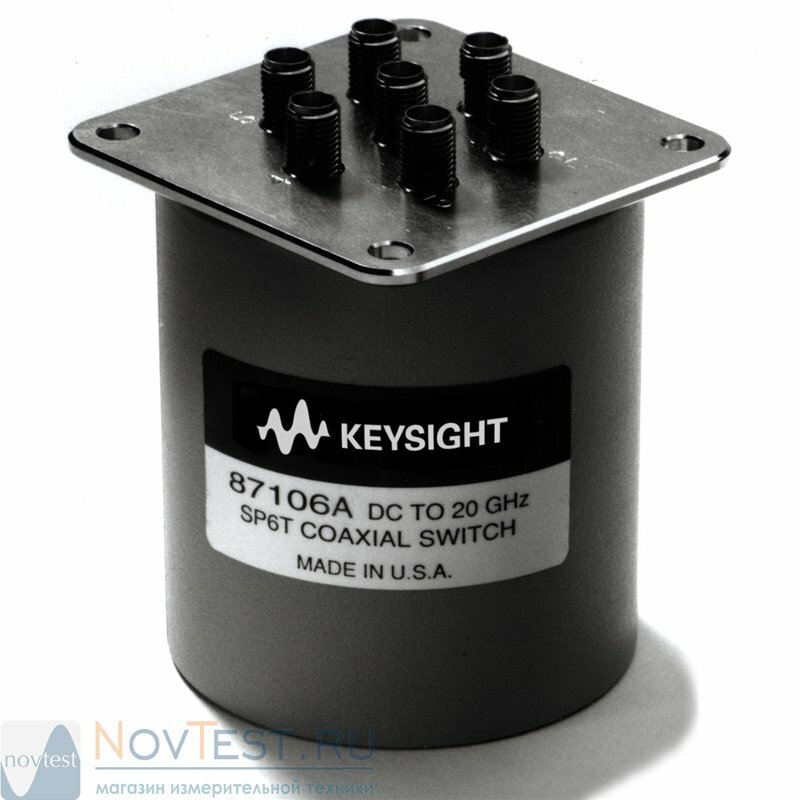 The Keysight 87106A multiport switch improves insertion loss repeatability and isolation, which is necessary for higher performance test systems. The repeatability and reliability of this switch is vital to ATS measurement accuracy and can cut the cost of ownership by reducing calibration cycles and increasing test system up time. The Keysight 87106A terminated multiport switch provides the long life and reliability required for automated test and measurement, signal monitoring, and routing applications. Highly repeatable switching capability is made possible through Keysight's rigorous design and tight manufacturing specifications. Low insertion loss repeatability reduces sources of random errors in the measurement path, which improves measurement accuracy.